Diagnostic Medical Sonography program at Delray Beach Campus in West Palm Beach, Florida. 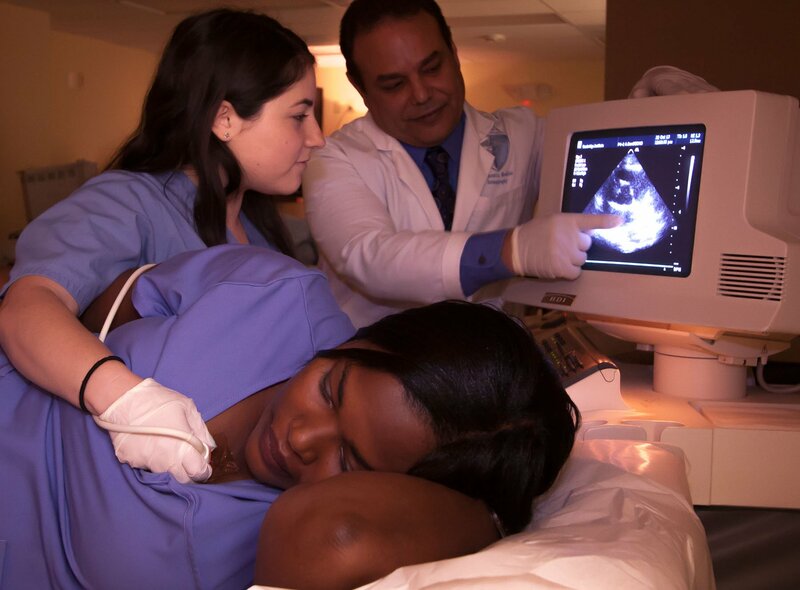 Students looking to achieve an Associate of Science Degree in Diagnostic Medical Sonography can do so at our Delray Beach Campus located on the campus of Delray Medical Center. This program is two years in length and consists of classroom, laboratory, clinical, and general education course work. This is a great option for those students looking to reach the next level of their professional education. Cambridge Institute of Allied Health & Technology’s Associate of Science (AS) degree in Diagnostic Medical Sonography Program prepares students to work as healthcare professionals, to interact with other healthcare professionals and patients in a professional and ethical manner, to develop the best possible technical skills in sonography, and to demonstrate at all times the utmost respect and concern for the well-being of the patients they serve. Graduates will be prepared to provide healthcare services as medical sonographers. The diagnostic medical sonographer works under the direction of a physician, using ultrasound imaging techniques for purposes of diagnosis.